It is the best option if you want a royal marriage ceremony. With its colourful fountains, grand lawns, exquisite exteriors, professional staff, and amazing cuisine Umaid Bhawan Palace is a splendid destination to get married at. It is delightful to ride a camel on your wedding day. Location: Circuit House Rd, Cantt Area, Jodhpur, Rajasthan 342006. This is the palace where Salman Khan’s sister Arpita Khan got married. Owned by the Nizams of Hyderabad, the palace turned heritage hotel is operated by the Taj Group. 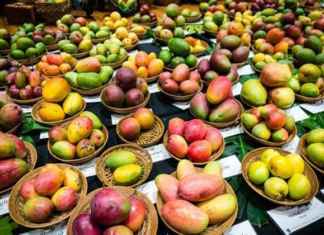 The place gets you the royal backdrop of grand marble staircases and you get married amid gold-hued Durbar Hall and lavish gardens. Location: Engine Bowli, Fatima Nagar, Falaknuma, Hyderabad, Telangana ,500053. This palace was built on an island over Lake Pichola in Udaipur City. Also known as the Lake Garden Palace it showcases exemplary Mughal architecture. 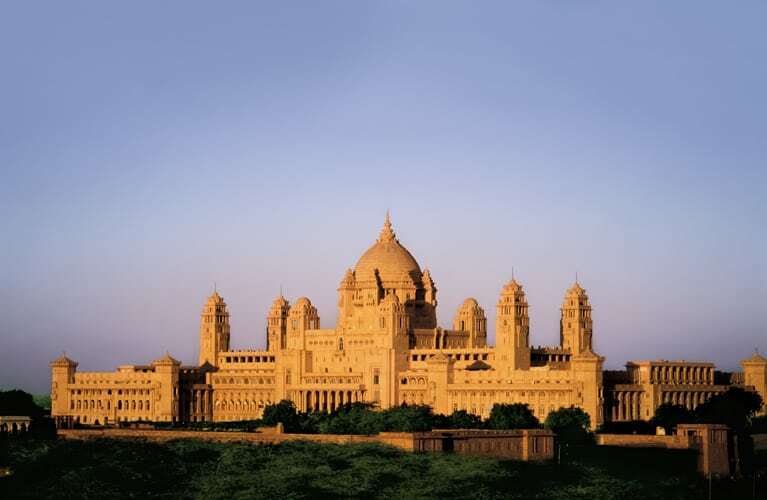 Made of yellow sandstone and marble it is a regal experience. This beautiful wedding destination is also known as ‘Swarg ki Vatika’ or garden of heaven for its vibrant colours of celebration and is a dream place to get married at. Location: Jagmandir Island Palace, The City Palace, Udaipur 313001, Rajasthan, India. City Palace in Jaipur is a dream destination for many. It is one of the best wedding venues in India. 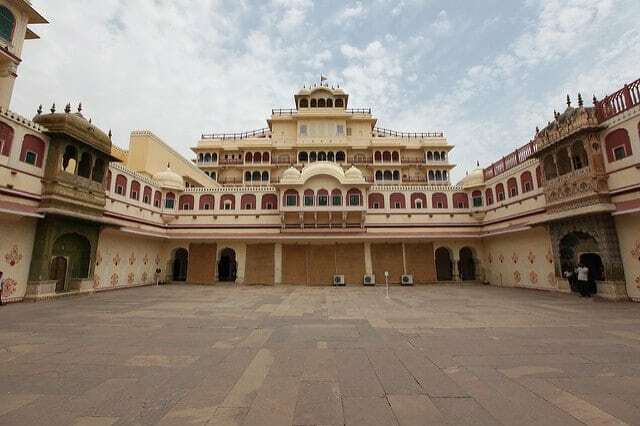 The palace is a mix of Islamic and Rajput architecture and hosts all the major royal weddings of India. Getting a wedding booking here requires a lot of pre-booking. This palace in Jaipur showcases the royal history of Rajasthan and was once the home of Maharaja of Jaipur. The Palace is spread over 47 acres and is a tribute to the rich culture and heritage of Rajputs. If you want a royal feel for your guests and yourself on your wedding, get married here and have the benefit of untold pleasures. Location: Bhawani Singh Rd, Rambagh, Jaipur, Rajasthan 302005. 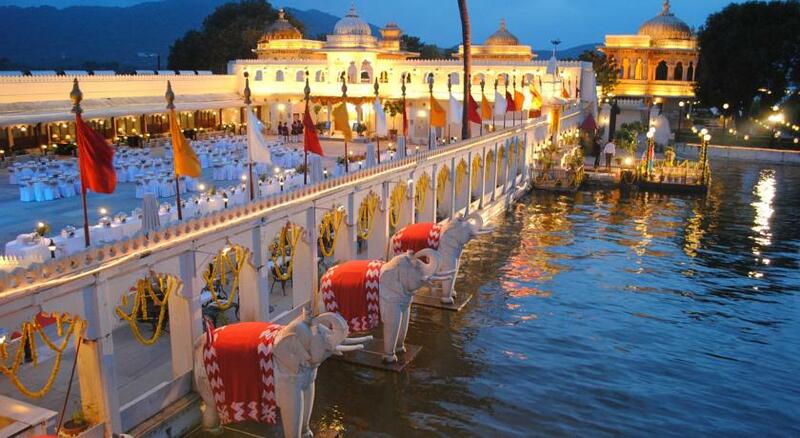 It is a mesmerizing palace for weddings in India and comes under the best heritage hotels. It has served many royals and imagine entering your wedding place on an elephant, or a royal horse or with royal guards! For entertainment, there are puppet shows, folk performances etc. Location: Near Jorawer Singh Gate, Amer Road, Jaipur, Rajasthan-302002. Situated on Delhi-Jaipur Highway, the place is a fantasy for many to get married at. 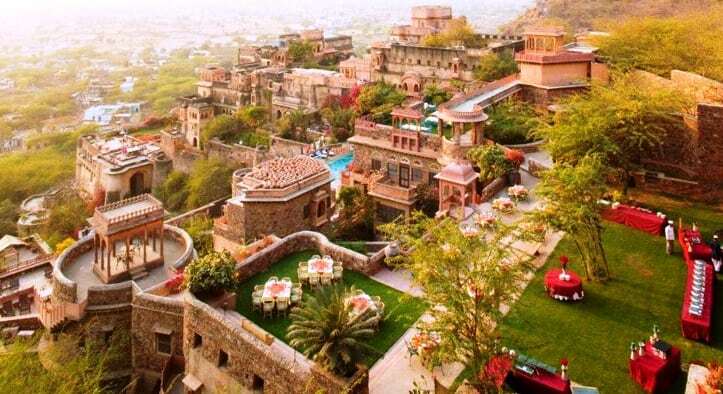 Neemrana Fort is India’s one of the oldest place but it is equipped with all modern facilities. The surroundings are breathtaking and it has splendid interiors to give you a magnificent feel. You can make best memories of your marriage here with some alluring pictures to remember lifelong.